He initially told investigators the child probably fell down the stairs. CALGARY — A man from Kelowna, B.C., will serve 5 1/2 years in prison after pleading guilty to manslaughter in the 2005 death of a two-year-old Calgary toddler. Ryan Podhorodecki, who was 22 at the time, had been taking care of little Blake Harvey while he was living with the boy's mother, Lindsey Garnham. Defence lawyer Balfour Der says at the time his client told police he hadn't done anything and just woke up and found the child badly injured, possibly from falling down the stairs. 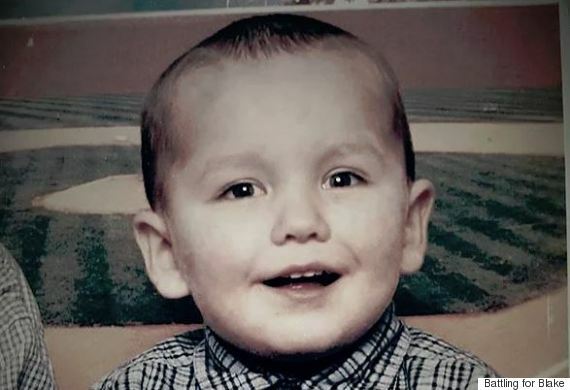 Police didn't believe him and the boy died three days later in hospital, but they couldn't prove a crime until years later when a second investigation was launched including undercover officers who befriended Podhorodecki. They got a confession and he was finally charged in 2015. Der says his client was frustrated at being woken up and spontaneously grabbed the little boy, shook him and hit him against the wall. Garnham told CTV Calgary she wishes the sentence were longer. "I am truly sorry and hope one day you can forgive me." "I don't think it was long enough, I don't think there will ever be a sentence long enough to bring justice for Blake,'' she says. However, forgiveness is hard so Garnham concentrates on remembering her happy little boy and hopes others will too. "He just played all the time. He was happy-go-lucky. He loved sports. He really enjoyed life to the fullest."